Just like “Just in time supply” and the other principles that make the “Supply Chain” systems so efficient today, I am sure that versions of “Just in time marketing” are well recognised and used in many circles. I am not convinced that “Just -in-time marketing” is the best concept for our industry. Our industry is conservative and slow to adopt change. I prefer to think in terms of “Right Time Marketing”. Right time marketing … creating marketing content early, delivering it when it’s needed, and offering it at that time to only those who might need it. In our industry, we need to put a high value on marketing at a very early stage. I do not think it good business to wait for products to be on the shelf; or for a website to be updated; for their new technologies to be tested or for next year’s budget time etc before committing to a marketing plan. What we really need is for the market to be ready to buy, the day these things are all in place. We don’t want the items on the shelf and then have to wait another lead time before people start recognising their need. I do not think it good business to keep our plans secret to avoid being beaten to the market. That is a wrong perspective. The market is big enough and competitors also have a lead time. The only real need is to establish yourself as a leader in thinking and a leader in quality and that the market is conditioned to know that your company can be relied upon. In general people in our industry do not queue for our products like they do for the latest iPhone. People plan to replace equipment and systems as far ahead as possible, and they only start that process once they recognise that they need to replace their existing inadequate solution. 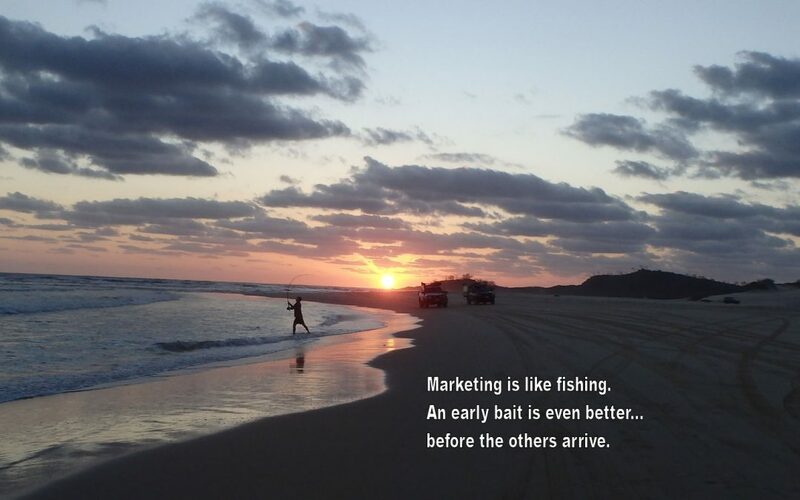 So, we who are planning to bring new products and services to the party need to start our marketing, not when we are ready to go to market but two lead times earlier…that is perhaps two or three years early. We need to tell them, as early as possible, that in a few years their existing “equipment, widget or system” will be inadequate. The extra advantages are many. Let people know what you are planning and the expected lead time so they can consider and budget; Let them know so they can offer ideas that will help make our product even better for them…..where did I learn that? I have seen it many times but it has been reinforced to me with the marketing of Forkliftaction’s new platform www.machinery-onQ.com. We started early, learned from client feedback and onQ started buzzing on the first day it was on the shelf.